After serving as a Lake County Assistant State's Attorney. Gil joined the firm as a partner with John Soffietti in 1965 after Gil served as a Lake County Assistant State's Attorney. He graduated from Lake Forest College with a B.A. degree in 1960 and from IIT Chicago Kent College of Law with a J.D. degree in 1963. 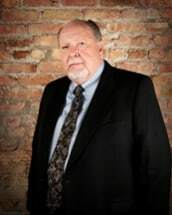 He is a member of the Illinois, Wisconsin and Lake County Bar Associations and is admitted to practice in Illinois, Wisconsin, Federal Court, U.S. Supreme Court and the U.S. Tax Court. His areas of practice include probate, Trusts and Estate planning, real estate, corporate law and municipal law. Gil and his wife reside in Ingleside, Illinois and have three grown children. PO Box 86, 74 E. Grand Ave.